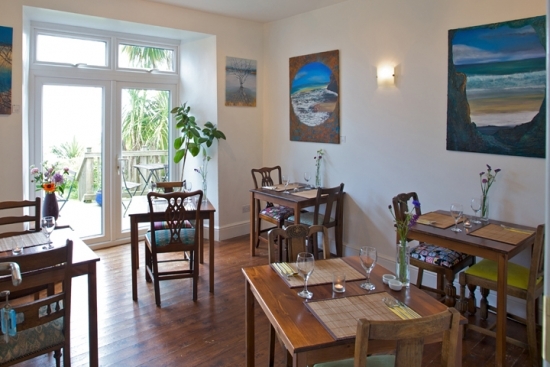 Stylish and vibrant vegetarian B&B with art gallery/ restaurant, sea views, parking and garden. Wi-Fi. 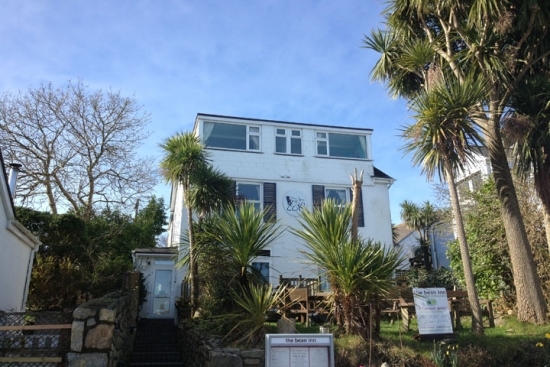 Coast Vegetarian B&B is set back from St Ives Road in Carbis Bay. There is parking for all rooms to the front of the house and a garden with palm trees and seating. 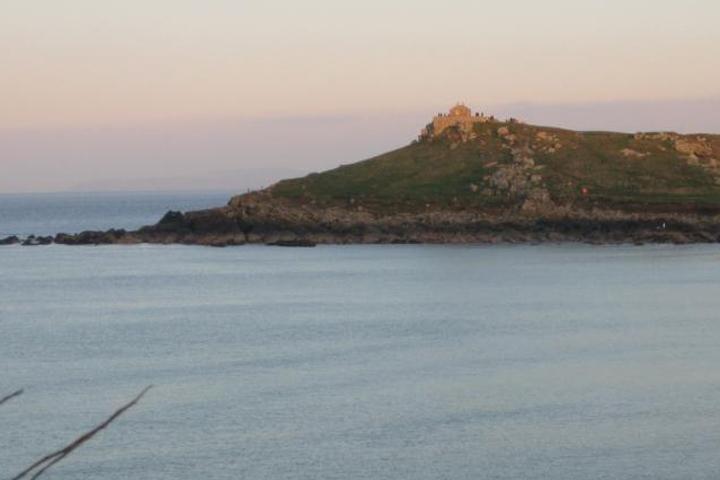 Coast is an ideal location from which to explore the whole of Cornwall. 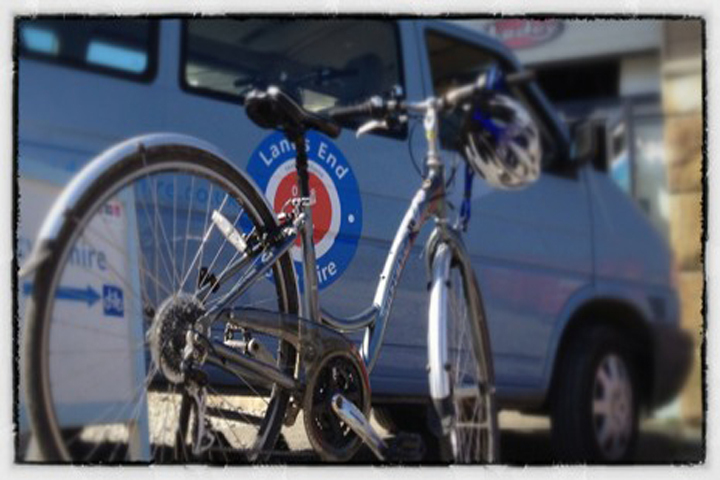 If you like walking, we are within easy reach of St Ives; you can take the coastal path which takes 20-30 mins. The beautiful Carbis Bay Beach, is approx 10 mins downhill walk and from there you can join the coast path to Porthkidney Sands or St Ives. 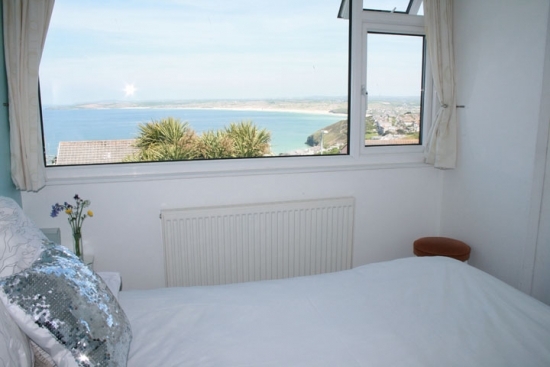 Coast has seven rooms, five of which have sea views, the top floor rooms have panoramic sea views. Although rooms are not grand they all have en-suites, coffee/tea making, tv’s and are individually styled with original art and contemporary décor. 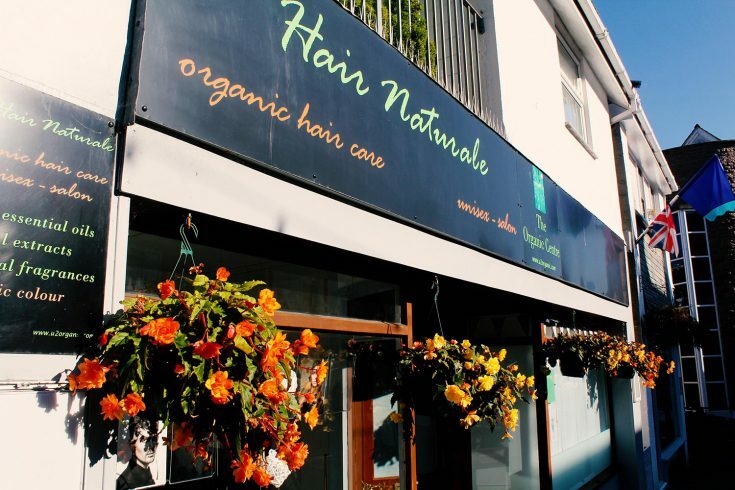 The ground floor houses the ever popular Bean Inn Vegetarian Restaurant. 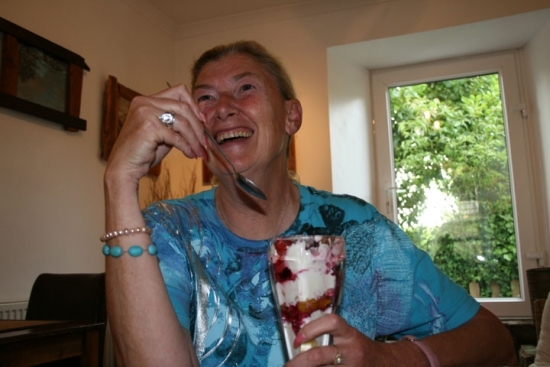 Residents can book an evening meal most nights during the summer months. There is a huge variety on offer for breakfast which is served on the ground floor in the restaurant area, or on the decking/ garden. Choices range from a scrumptious ‘Morningbockerglory’ to pancakes or a veggie full English. In addition you can also help yourself to fresh coffee, fruit, yogurt, toast, cereals etc. Lots of vegan options and we also cater for special diets. Quirky features include the downstairs 1930 cinema seats, a matchstick guitar and acorn pod pictures.